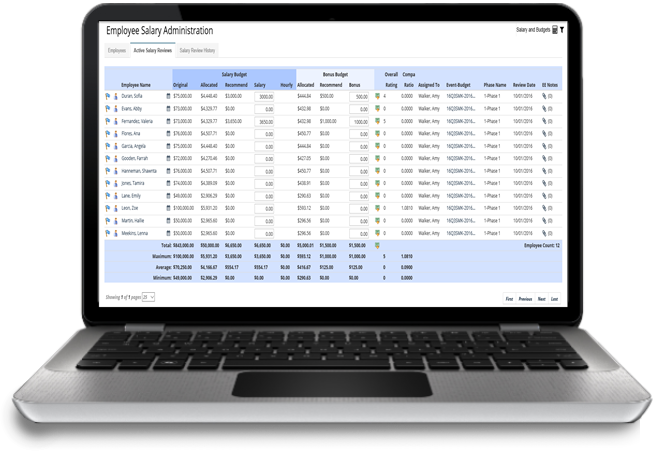 PeopleGuru Salary is a comprehensive administration tool used to conduct salary review events, establish budgets, and ensure that an organization is recognizing and rewarding top talent. Department heads and managers can have full visibility into performance ratings, comp ratios, as well as compare employee salaries to peers by job, location, and position. Managers that are actively involved in salary reviews are more engaged with their people which ultimately results in higher retention rates, happier employees, and an overall increase in productivity.